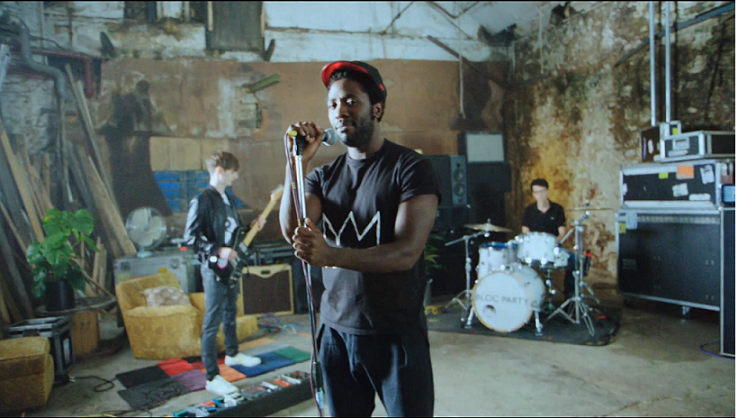 Harry Likes Music: Doesn't Kele Look Awesome Still? 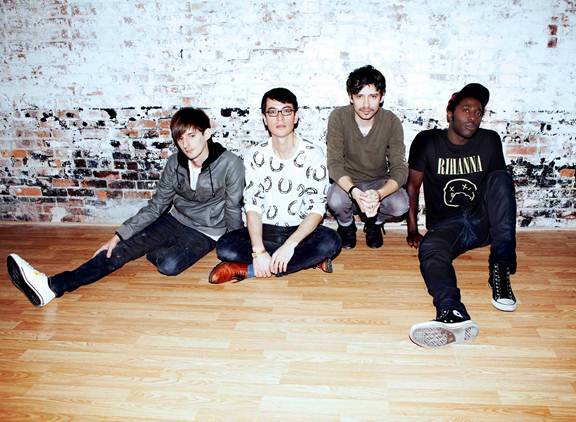 Bloc Party Return! Doesn't Kele Look Awesome Still? Bloc Party Return! They're back. It's bloody brilliant isn't it? After a 4 year hiatus of recording, they announce their new album 4 which also happens to be their 4th album. And the album cover has 4 rings on it. And in their new video for "Octopus" the colours of the ring flash at random points. And and octopus has 4 tenti... wait. At least they've thought this through, pretty well I might add. I've been speaking to Russell on Twitter, their guitarist, and the new pedal board he boasts about is indeed pretty awesome. The left to right freeze effect on the guitar is fresh, and sounds great for a unique comeback sound for Bloc Party. It also helps the lyrics are pretty good. Only criticism would be I only know about 4 lines of the whole song for the verses, pretty poorly mixed to my ears. Overall it is a good comeback song, and if songs like "Real Talk" and "Truth" on youtube are anything to go by, "Four" should be an exhilarating return to form. But then again, when have they ever been off it? In other news if anyone is remotely interested, I just ordered the rather awesome Nirvana logo mixed with Rihanna that Kele wears in the picture above. Their first press photo for 4 years, cute.